Do you take this anticoagulent prescription medicine? The Handicap Foundation has had a donation of 46 capsules in unopened containers donated to us. The expiration date is November 20, 2019. There is at least $120 worth of medicine which we will sell for $50. 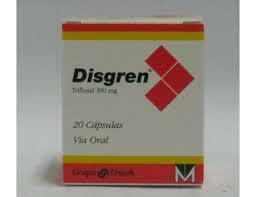 Disgren belongs to a group of drugs called platelet antiaggregants, which act avoiding the formation of clots (thrombi) that can clog blood vessels. This medication is indicated in adults to reduce the risk of reappearance of a heart attack. All proceeds go to the Handicap Foundation. To purchase email pjbarrett@aol.com. The Handicap Foundation has reduced the price of this medicine to $50.